Can you remember how many plastic bottles you’ve used in your lifetime? Me neither. With plastic pollution becoming a bigger threat to our environment, PathWater has stepped up to change that. Their aluminum bottle is not only reusable but its sustainable too. 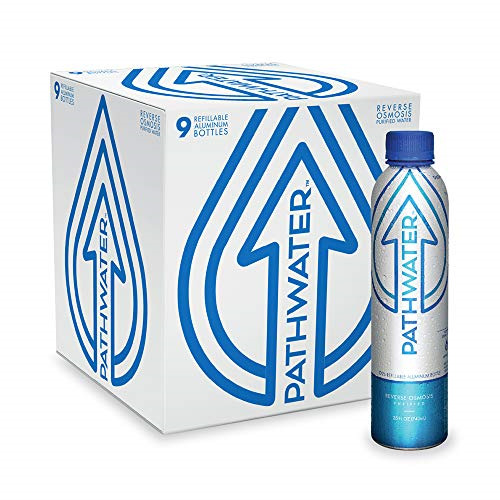 PathWater was founded to help you make the switch from single-use plastic. It’s estimated that by 2050, there will be more plastic than fish in the ocean. Due to this scary and sad reality, PathWater has worked tirelessly to beat those odds with their aluminum bottles. Their water is also locally sourced, having gone through a whopping seven step reverse osmosis filtration process. Better for you and better for the environment.